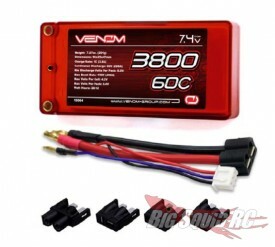 Lots of New Venom Batteries « Big Squid RC – RC Car and Truck News, Reviews, Videos, and More! 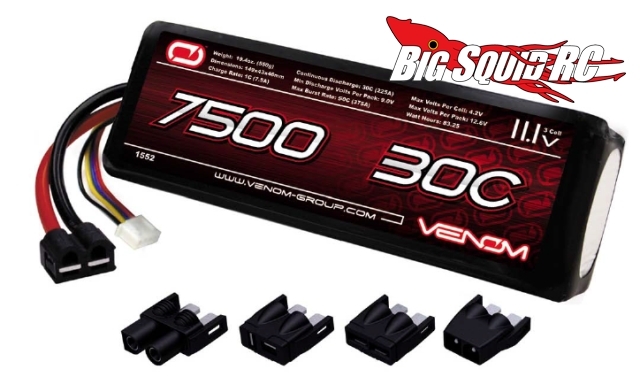 Venom Group has a ton of new batteries headed our way! All will be avaliable in mid July and come with Venom’s lifetime battery replacement plan. First up is a 7.2V 3000mAh NiMH pack that is perfect for your Roto-Start, EZ Start, or just to run in your vehicle. This pack comes pre-wired with a Tamiya connector. Next up is a TON of new lipo packs! All lipo packs come with 12AWG wire leads and Venom’s universal plug system. Jump over to the Venom Group website for more pics and specifics!